Believe it or not “Its Happening Again“says a PBB political secretary to audie61. Remember how those who showed as little bit of ambition within PBB were swept away while they hung on the branches of the tree. The likes of Abu Bakar,Leonard Linggi,Rony Assim all paid dearly and were all “COLD SHOULDERED” in PBB. The rests of the casts could not even be found in the history books as they were sent down to the abyss. Taib under attack from within and outside the BN has not shown anysign of CRACKING. The scale of attacks on his personal wealth,family and other allegations has got him more determined. He has started to get the FOXES out of their HOLES and the assault on Taib has left him with only minor scars. An aide even said he is in “High Spirits” knowing very well his own party PBB has carried out and followed his simple “tree shaking” concept. The following weeks and months leading to the State Elections will see who will be standing next to him to carry the fight of PBB to the opposition. PBB has 35 seats and he will pick carefully who will win for the party and he knows that SUPP,PRS and SPDP as alliances in the coalition will be also hard pressed to deliver. The Federal BN Najib will not want to interfere too much as it might just play into the hands of the opposition and even Taib and his Generals. THERE might be a BACKLASH …Najib will need his adminstration to give undivided support to the Sarawak BN or even a sign of unhappiness will seap a crack which will be difficult to patch back. BN will be the wiser to listening to the call of the ruling coalition or they will pay the price in the 13th GENERAL ELECTION. Taib with 29 years in service will know how to fight one of his lasts war.No matter what the negative remarks from all those who have seen the man”successful’in this era will anyone be able to ask him”What and How did he do it and remain so long in power.” Dont give me the usual answers. U said “$$$$$$ money but its more than that…….. The hype and the tension over the past few months over the issue of the SPDP 5 plus 3 has finally been answered. In the Supreme council held last Friday the Separatists 5 YBs were spared the “guilottine” as they have absent themselves with a written apology. However the 3 Supreme council members George Garai, Peter Gani and Eda Egar were not spared. Have they forgotten to read Article 16 Clause 18 and Clause 32 or even Clause 35 of theSPDP party constitution.? For the benefit of the readers at large ‘Clause 18″ states: All members of the supreme council shall hold office immediatedly from the date of their election or appointment until the next Triennial General Assembly until such time that the member resigns,is expelled from the party,disqualified for any reason whatsoever or dies. THE Supreme Council has ruled that in Clause 32 and followed after much deliberations though painful it may seem but the party is firm that the suspension of the 3 is in accordance to the clause. It reads,”Any member who fails to attend three(3) consecutive Supreme Council Meetings without written explanation to the Secretary general shall automatically cease to be a supreme council member. It must be noted that 18(c) of the ROS article also clearly states that any grievances or unhappiness should not be challenged in the courts and the power of authority lies in the Supreme Council of the party. Clause 35 (a) to (m) of the party constitution protects the party from any liabilities of wrongful dismissal or suspension of any particular member. The legal implications might not even surface but the political implications is what matters as the State elections is just around the corner. When met today George Garai said,”Im suspended and the 5 Ybs are not. There are so many other political platforms and one consideration is of course PKR.” George knows very well that no other BN parties will accept him in unless he has been out from SPDP for a year or more. Even a political observer has mentioned to audie61 that the action that was taken by the party is correct and they should know where they stand and its not up to the party to “kowtow ‘ to them. Given these scenario even PKR will not be too desparate to bring them in the fold and as such they might just find themselves tossed into a “political scrapheap” and into oblivion. SPDP and the Supreme Council has practised DEMOCRACY and as such its ideals and credibility are INTACT. The loss of P212 Sibu is indeed a blessing says an aide and a political secretary to CM to audie61 . We would not have known what “hit us” if Sibu was a convincing win. Just goes to show that we will be very well prepared and ready to do battle and go all out in the war against Pakatan come the Sarawak State elections. Without a doubt the people will have the final say but we have been on the ground engaging and trying to address the wrongs and misinformations by the Pakatan group towards us BN. The people will know how to read the signs and we are also very mindful of not misleading the people. CM Taib is facing his toughest battle as he closes in on his 30th Year in charge the State of Sarawak. There has been many calls from both within and outside the ruling BN Government that he steps down sooner rather than later. Should he do it before his 30th year in office in March 2011..? Will he be leading BN Sarawak again to the next State elections.? It seems the call of him “stepping down” is getting louder and more “dirt” is thrown out openly involving the family and his business worldwide. CM Taib is a fighter and he knows that quitting now is not an option and he will go all out to prove his detractors wrong. Though time is not on his side, he will strike when you least expected and many will be caught offguard. His meticulous strategy in leading BN Sarawak will even make the UMNO Sec-General eat his “words back” and maybe Taib might even take the trouble to bake a CAKE FOR HIM…. TENGKU YOU GOT IT ALL WRONG..
Umno is confident that BN would be able to retain Sarawak in the upcoming state elections even if Chief Minister Abdul Taib Mahmud decides to step down. Commenting on Abdul Taib’s shock announcement yesterday that he was mulling calling it a day after 29 years at the helm, Umno secretary-general Tengku Adnan Tengku Mansor said regardless of his decision, it would not affact BN’s chances. “Maybe he realises that people in Sarawak need change. For us, we’ll still be able to hang on to Sarawak whether he leads or other people lead,” said Tengku Adnan, who is also BN secretary-general. He was commenting on Taib’s response on whether or not he will contest the upcoming Sarawak election, and if he will remain chief minister if he wins. The veteran politician, who rose to leadership in 1981, said yesterday: “I don’t know, it is up to the prime minister, Parti Pesaka Bumiputera Bersatu (PBB) and the people to decide on my position. Tengku Adnan denied speculations that Umno was putting pressure on Abdul Taib to step down, who has been courting increasing bad press over the wealth accrued by his family. “There is no pressure from our side, but we’ll accept it if he wants to go. Maybe he’s been in power for too long. “When you’ve been in power too long, people get tired of you. 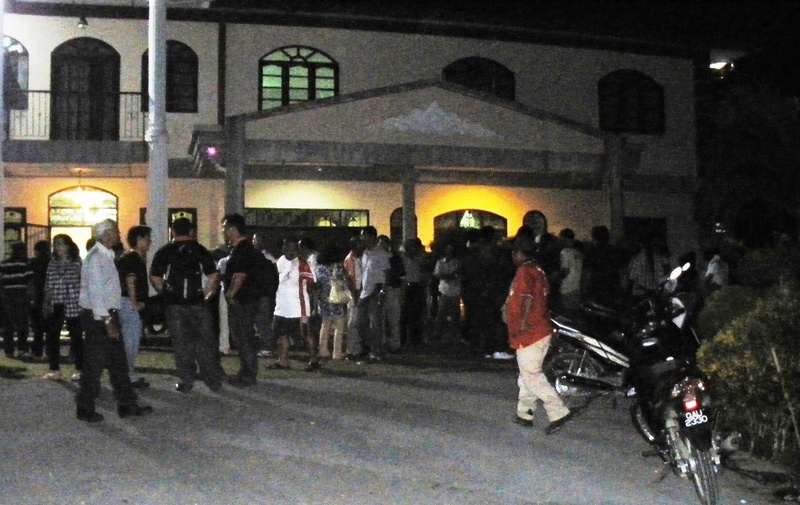 He is also probably tired, so the statement he made is fair,” said Tengku Adnan when contacted. He said Ahmad Taib’s situation mirrors that of former Umno president Dr Mahathir Mohamad who began planning his departure after BN suffered a dip in support in 1999. “It is statesman-like to think of the state rather than just of himself. As far as we (Umno) are concerned, there are other leaders who will be able to take over if he chooses to step down,” he said. Despite Tengku Adnan’s denial, the prominence given to Taib’s statement in Umno-linked newspapers has raised eyebrows. The statement, while an expected response from a politician prior to an election, made the front-page of Berita Harian and given a full-page spread in the New Straits Times. 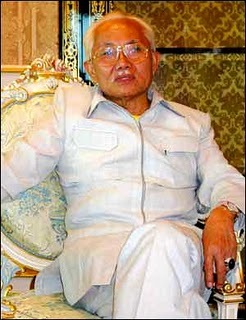 Taib was elected into parliament in 1967 and became chief minister in 1981. In 2006, he expressed his desire to step down due to ill health, but was prevented from doing so by party members. Taib’s withdrawal at this juncture would be timely as his increasing unpopularity has fast become a liability to BN. In fact, said PKR Padungan assemblyperson Dominique Ng, Taib was the main cause for BN’s defeat in the Sibu by-election in May. “Sibu was BN’s stronghold. 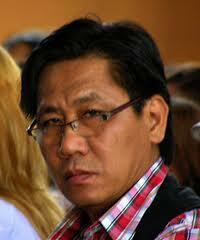 If they can lose Sibu, they can lose all the Chinese-majority (constituencies),” he said. The unexpected loss has raised the stakes for BN in the state election, due to be called by the middle of next year. Additionally, BN is under more pressure to win the Sarawak election which is being seen as representing a testing ground for the ruling coalition ahead of the next general election. If he steps down, would it diminish Pakatan Rakyat’s chances in Sarawak? “It is irrelevant because our main problem is still BN policies. 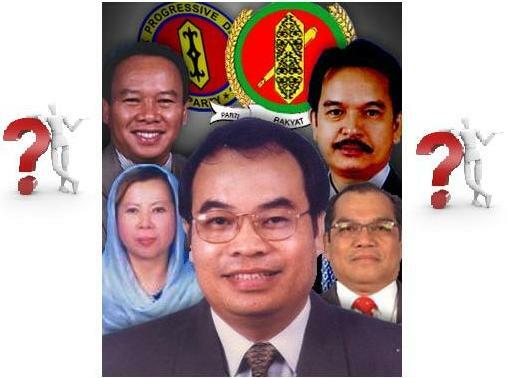 If he leaves, the next person to succeed him will still be a BN person,” said Sarawak PKR chief Baru Bian. As such, the PKR duo are banking on the hope that Sarawakians realise that “another Taib nominee” will not bring in the changes they desire. The PKR Sarawak State leadership has more or less confirmed two Bidayuh leaders who will be taking on the might of the BN in the Bidayuh hinterland. The occasion this evening was attended by over 400 supporters and leaders from in and around the Bau area. Dr Jeffrey Kitingan was the spokesman as Zaid Ibrahim flight was delayed and could not make it in time for the function. The two potential names who were presented to the supporters tonight were those of Mexlian Gombek and Dr. Christopher Kiyui. Dr Chris will be fielded in the N18 Tebedu seat against PBB Michael manyin who is also the Minister of Communications and works. Mexlian will be fielded to take on strongman of SPDP Peter Nansian Assistant Minister of Evironment at n2 Tasik Biru constituency. Both of them when met by audie61 tonight at Bau were upbeat of their chances of being chosen as PKR candidate as they have both been working very hard on the ground and carried out election programmes and are ready anytime to go against the BN machinery. They both said if they are chosen by PKR they will be confident in giving the BN some sleepless night and might just surprise the BN candidates. Its the PEOPLES POWER to choose and they even said if they are not good enough its the Peoples right to change them in the next elections. No one is indispensable and they mean what they say. However it seems others especially component parties are suddenly waking up to the realisation that SUPP might just ‘Walk their Talk” Is always a collective decision in a party and SUPP is no different. They have realised that all is not losts if they adhere to their GRASSROOTS CALL. It seems theso called tigers who are clinging at SUPP for survival have woken up to the age of “NEW POLITICS” Times have moved on and the ways of doing things are not what it used to be. The younger set of voters and the grasroot supporters sees the party in a different light than their predecessors. New ideas,New challenges,New Ways but always keeping to the principles of the party are ways forward for the party. President George Chan is incommunicado and only the closest aides know his wherabouts. He does pack a punch when he is driven to the wall and do not underestimate the fighting spirit in the man. Politics they say though,”moves so fast that by the time you blink your eyes another issue is upon us.” U agree right…. WE SHALL WAIT WOUDN’T WE…..? ?